Ok, so I was planning my No Concealer Concealer review, when I received a Perricone MD email discussing Dr Perricone upcoming 15 Year Anniversary. So, firstly I would like to say thank you to Dr Perricone for 15 years of continual innovation and for bringing us such effective products that have truly changed my skin. His dedication to his field of expertise really came evident to me when watching a presentation DVD of Dr Perricone giving a informative lecture on his quest to learn about aging and how to combat it (The DVD came in a gift set I had purchased). 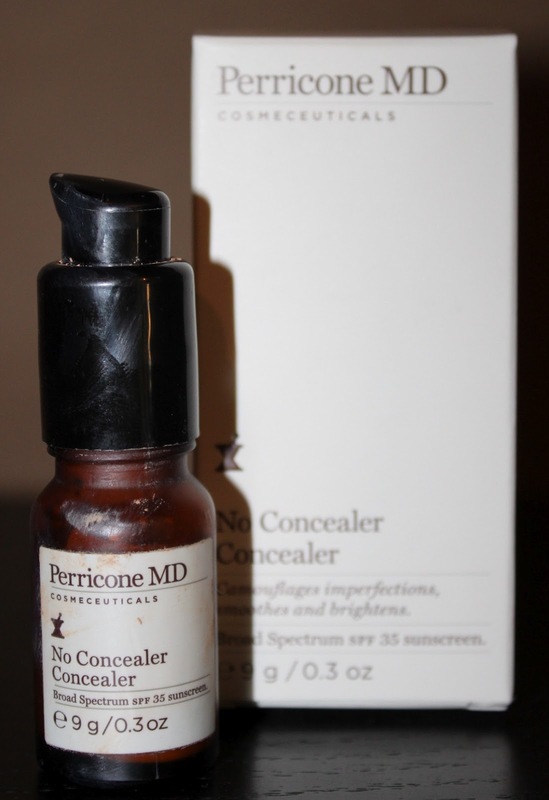 This brings me to another of Dr Perricone’s wonderful products that I have been using for awhile now – No Concealer Concealer. It is a peach-toned tint which helps counteract dark circles. It is meant for all skin tones, but those on the far end of the spectrum might struggle with the colour – but it is perfect for me (light to medium skin with both yellow/pink undertones). I use it in the morning after my Face Finishing Moisturizer. I take a really small pea size as a little goes a long way. I use my ring finger or my Real Techniques deluxe crease brush for seamless blending. It goes on smooth and my under eye area does look fresher. It wears well and does not settle into my fine lines. I have enjoyed using this product. Let me be the “first” to say Happy Anniversary Dr Perricone, I cannot wait for the next 15! This kind of product sounds wonderful esp for someone like me who cant go with out concealer and really should use eye creams more consistently. I really love Perricone products and this is no exception-a perfect hybrid.